Daily Delite India Pvt. 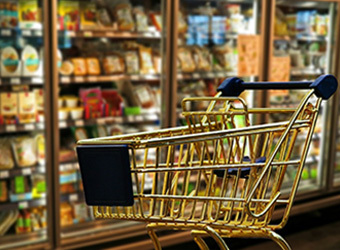 Ltd, which runs three supermarkets in the national capital of Delhi, has acquired a fresh fruits and vegetables e-tailer for an undisclosed amount in its second takeover deal this month, a top company executive told Techcircle. Delhi Mandi offers 150 types of fruits and vegetables and dispatches its items to the doorstep of clients. The online platform, launched by Dinesh Gehlot and Amar Solanki in March last year, claims to be serving more than 5,000 families at Dwarka, in southwest Delhi. Gehlot and Solanki were running an animation studio since 2004 before venturing into the space. The deal comes weeks after Daily Delite bought Delhi-based RP2 Ventures Pvt. Ltd, which runs fresh fruit and vegetable supply chain venture Lemon Leaf. Notably, Gupta along with business partner Saurabh Sahani had put money in Lemon Leaf as well prior to the takeover. The two partners, who are at the helm of Lemon Leaf after the exit of its founders, have renewed talks with potential investors to fund their expansion plans in future. However, they did not reveal the identity of the people they are talking to. Daily Delite claims to have constructed six dark stores for PepperTap, which had shut down its grocery delivery business earlier this year. A dark store is a warehouse full of groceries where staff called 'pickers' select the goods that have been ordered by an online customer. Gupta, an alumnus of KITS Nagpur, had earlier worked with Confluence Foods and Aspirant Technologies. Sahani is also employed with Delhi-based Wintech Engineers. The fresh fruits and vegetables supply chain space has attracted several deals in the past. Mumbai-based startup White Shadow Technology Pvt. Ltd raised about Rs 2.5 crore in angel funding while Pune-based Siddhivinayak Agri Processing Pvt. Ltd closed its Series B round led by impact venture capital firm Lok Capital in January.